‘In summary,’ the abstract read ‘randomized controlled trials that lowered intake of dietary saturated fat and replaced it with polyunsaturated vegetable oil reduced CVD by ≈30%, similar to the reduction achieved by statin treatment.’ A message from the zombie theory that facts can’t kill. But few of us non-professionals would feel confident about delving into the biostatistics behind a paper stamped with such academic authority. So a round of applause for American journalist Gary Taubes who is not only comfortable with the statistics but as a result of his amazingly thorough books investigating the origins of this tenacious belief – Good Calories; Bad Calories, Why We Get Fat – is effectively its historian. And to really understand why the Presidential Statement is so deluded you have to know the history. Taubes rushed out a post on it that makes it clear that this is the final flourish of defiance from the old team that built and then protected this undead theory for decades. You can read it here but is such a fascinating demolition job I couldn’t resist writing about it. The first fact that brings you up short is that all four – yes just four – of the papers wheeled out to defend the claim were published in the 1960’s!! And this was from a Presidential Paper which claimed to discuss:’ the scientific evidence, including the most recent studies’. A dozen senior cardiologists could only find four trials worth considering. Those excluded included the Minnesota Coronary Survey, The Sydney Heart Study and the largest and most expensive clinical trial ever done – the Women’s Health Initiative. Possibly because all came up negative. The reliability and conclusions of the many negative trials of the effects of removing saturated fats are still hotly debated but what is of interest here is that the AHA supports the notion that the evidence contained in these four ancient papers is strong enough to defend the hypothesis against anything published subsequently. Taubes dissects one of them – the Oslo Diet-Heart study – and shows how it fails even the most basic standards of evidence based medicine, making it highly unreliable. No journal would publish it today. There is just one investigator – Paul Leren – who asks local doctors to recommend which of their patients could be enrolled in the trial. Half get a diet low in saturated fats and high in polyunsaturated oils, along with intensive counselling for years. The rest get a standard Norwegian diet and no counselling. Already it is looking very dodgy. Not only does the control group get no counselling – known to be an effective way of ensuring patients stick to a diet – but the doctors who continue to oversee their patients know which are in which group. So it’s unblinded and without a proper placebo control. But there’s more and this is where Taubes’ gift for obsessive research bears fruit. It turns out that there was a separate account of how the trial was run written by Leren, published in 1966 and containing information not available in the medical journal article. As it happened Taubes had bought a copy a few weeks ago. ‘That’s how curious I was’, he writes. This monograph reveals another crucial detail. Those on the low fat diet also got very little sugar – about half what would be in a regular Norwegian diet which Taubes estimates at about 100 grams a day. So could the fact that the control group were eating a hell of a lot more sugar have contributed to the favourable result, he asks. He finds a similar example of the AHA team’s lax standards of what counts as evidence in their approval of the recent Predimed trial of the Mediterranean diet. The trial was not one of the original favoured four but it was discussed in the paper as the kind of diet the team thought people should follow and put forward Predimed as having good evidence for its effectiveness. Taubes, however has found that Predimed also involved the same sort of playing fast and loose with the placebo group that totally discredited the Oslo study. The details also emerged from a separate supplement. Once again those getting the diet (there were actually three versions of it being tested) also got regular counselling while those eating non-Mediterranean got no support and advice. Again this made it a trial without a proper placebo. Another researcher who has been delivering heat lately to those holding on to the low fat faith is the nutritionist Dr Zoe Harcombe who runs a very active blog at which needs a small subscription. I don’t know if she has responded to the AHA paper specifically but her research is directly relevant. Her position, set out in a recent post ‘Replacing saturated with polyunsaturated fat’, is very clear and based on research done for her PhD thesis. She then goes on to dissect a Cochrane review of saturate fat first published in 2011 which has been used by her critics to support the low fat position. It begins with a blizzard of references, which I’ve kept in the quote here to demonstrate that her research is all done by the book. The fact that her prose is very accessible might mislead you into thinking she was a lightweight. Slide over it if it is too much information. Harcombe makes three points about how unconvincing was the evidence Hooper claimed showed the benefits of the switch. ‘The paper claimed that replacing energy from saturated fat with polyunsaturated fat “appears to be a useful strategy”, she writes. ‘Yet, of the 11 studies she (Hooper) used for this conclusion only 1 actually replaced saturated fat with polyunsaturated fat! You will also find there a post of mine on cancer and CAM. It’s about how there are faint signs of a thaw on another of those fiercely contested frozen medical boundaries between standard cancer treatments and options for patients based on a functional medicine approach. The ability of bodies charged with protecting public health attack their critics on the ground that their views aren’t backed up by good evidence, while at the same time sticking to recommendations based on the most deeply flawed evidence, still continues to amaze, although I suppose it shouldn’t. So rather than exchanges salvoes of references we need to ask age old question which has suddenly become horribly relevant about power and people: Quis custodiet ipsos custodes? Who will guard the guards themselves? We really do need to employ a new set of guards. What is the AHA for? It keeps its sponsors happy and defends the money-generating cholesterol theory. I’m sure its members have nice houses with swimming pools, but this discredited organisation clearly has nothing to do with public health. Here is a list of AHA sponsors. Is there a major pharma company not listed? How likely is this organisation to ever accept that eating fat is fine? That would mean rejecting the diet-heart theory and that’s the goose that lays the golden statin egg. The AHA is stuck in the 1960s because that’s the only way it can maintain its position, relying on old, selective science to support an old and selective theory. Loss of face is a greater threat than loss of money. But if you think that they are influenced, it might be time to go after the sponsors. I doubt that Subway or Splenda or even Mazda wants to get in a fight. We’ll see if we can form a real organization. I agree that loss of face is important, but so far it hasn’t stopped the AHA publishing this type of nonsense in the face of criticism and some derision. They seem utterly detemined to defend the vegetable oil Alamo. I’m not sure what would be left of the AHA if they finally admitted the truth and abandoned the cholesterol position. The loss of face will be all the greater when the fortress finally collapses. Influencing and, where appropriate, criticising sponsors for supporting these harmful policies is a good strategy. They move whenever it suits them. Even FIFA found that out. In the healthy fats controversy, both sides ignore this thing called The Reverse Effect. That’s the title of an 1198 page book by Walter A Heiby. 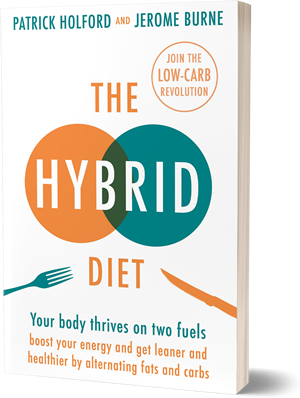 The book contains a 95 page chapter on polyunsaturated fats. Also, Google – Calories Don’t Count Herman Taller. Read customer reviews. I asked Lee Hooper at a meeting how she could explain the French paradox and suggested that if she couldn’t her contention was invalid. She shrugged her shoulders and said “Well, there’s France for you.” At the same meeting where another expert denigrated coconut oil, I pointed out that the Kitavans ate 18% saturated fat, almost all from coconut and had no heart disease and that they would have to explain that, I got a goldfish impersonation. We are dealing with entrenched ignorance. It is difficult to attack ignorance. However, there are supposed to be gate-keepers, that is, editors and reviewers. That is why the nutritional medical literature is near worthless. Here, off course, there was presumably no peer review at all. The AHA owns the journal (and the authors). The ‘French’ paradox includes Switzerland, Sweden, Norway, Holland, Belgium, Germany, Spain and Iceland. How many paradoxes does it take to show a theory is wrong? In a genuinely scientific field, one ‘paradox’ would be enough to sound alarm bells. All those ‘paradoxes’ can be explained by reference to the Mediterranean Way of Life, “diet”. It’s not lists of food to eat/not eat, but so much more and encompasses social connections that seem to be lacking in the English speaking world. The again, perhaps the Europeans use less glyphosphate and GMO crops. — Europeans do not pollute their water with flouride, overall at 3%, and that figure only because Spain/11%, Irish Republic/73% and UK/11% do so. Jerome, it is people like you (round of applause, please), Dr Zoe, and Gary that fill this role when the gatekeepers should be the Journals and the Professors maintaining a very high standard of integrity for research.